Containing over 800 active and diverse species of microorganisms, microbe food, nutrient enhancers and micronutrients, the Bio 800+ blends are highly concentrated and consistent products that deliver increase crop yield, plant resilience, nutrient efficiency and an overall healthier soil ecosystem. All products are 100% organic and are 0-0-0 analysis that are designed to be used in conjunction with fertilizers. 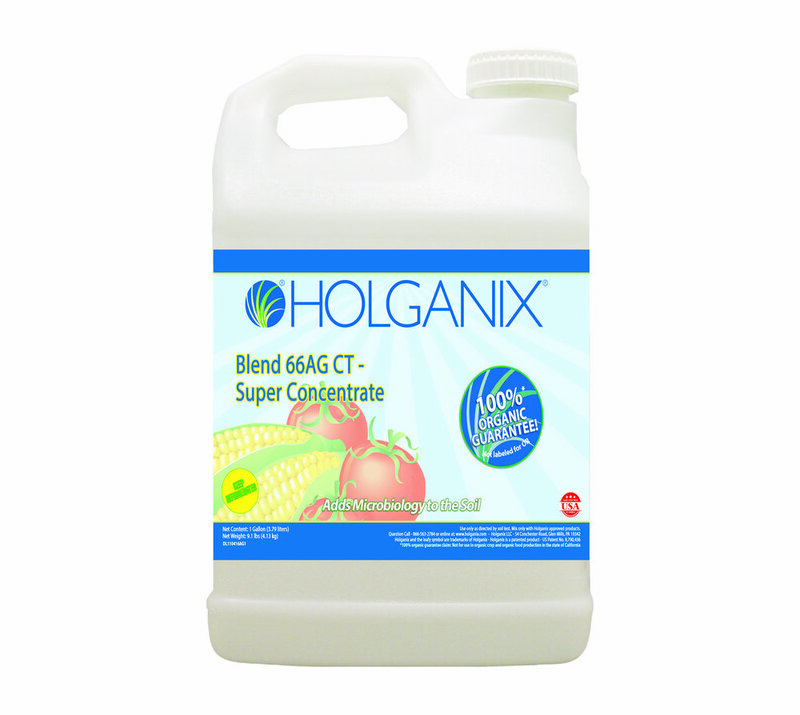 The Holganix Agriculture blend comprises an abundant and diverse community of soil microorganisms geared towards increasing crop yield, brix index, plant resilience, nutrient efficiency and an overall healthier ecosystem. This product is 100% organic and is a 0-0-0 analysis designed to be used in conjunction with fertilizers. For product size options and use directions, click the "Learn More" button below. 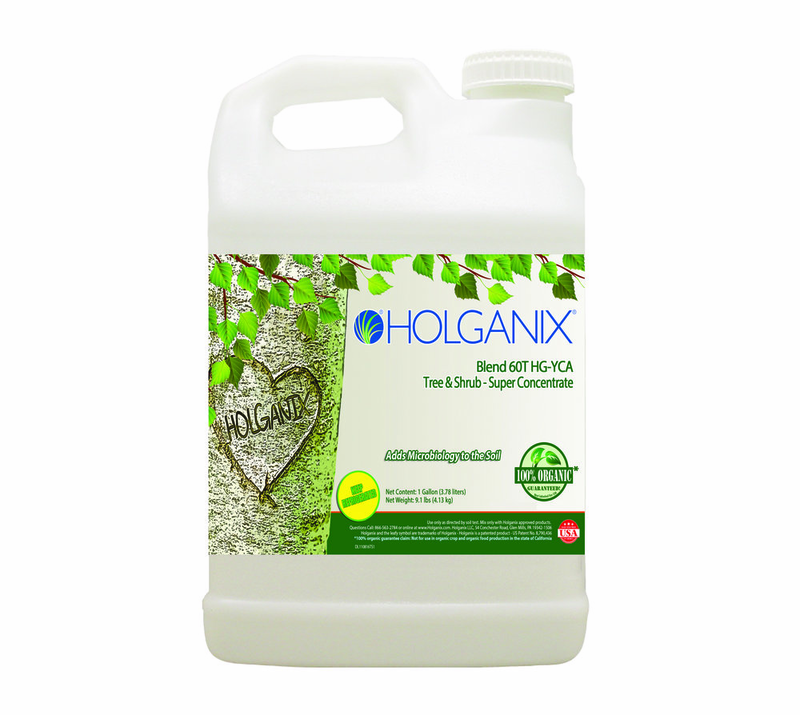 Consisting of microorganisms that cater specifically to nurturing healthy trees and shrub, Holganix Tree and Shrub is for growers looking to increase plant strength, root depth and density and decrease transplant shock. Growers can also expect to reduce the use of fertilizers by up to 50% and pesticides by up to 75%. Consisting of microorganisms that cater to nurturing healthy, more abundant and more colorful blooms, Holganix Bloom is for soil and hydroponic growers that care for flowers. Growers can expect more vivacious, colorful flowers, increased plant strength, deeper, thicker root systems and improved soil health. Growers can also expect to reduce the use of fertilizers by up to 50% and pesticides by up to 75%. This product is 100% organic and is a 0-0-0 analysis, designed to be used in conjunction with fertilizers. For product size options and use directions, click the "Learn More" button below.